GemOro’s PATENT PENDING LED illuminated grading and storage case features both perfectly balanced bright daylight and UV LED™s. 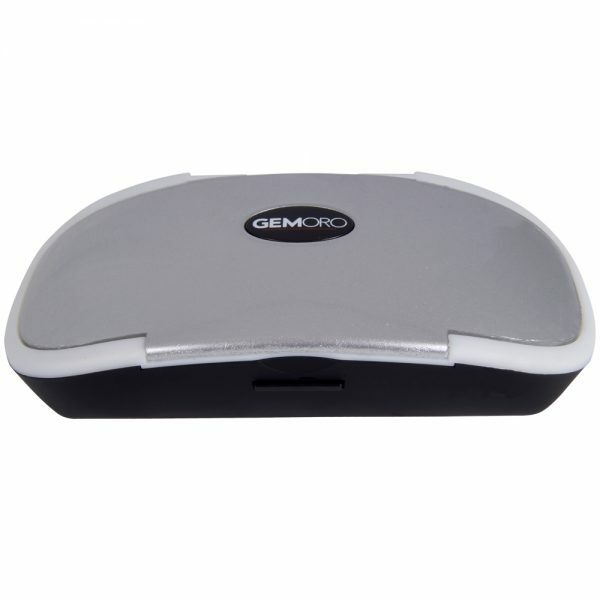 It is powered by 3 included NiMH rechargeable AAA batteries and a micro-USB charging/power system. This is the ultimate case for storing your CZ’s or diamond master stones. Now you can easily color grade diamonds on-the-go, making this compact portable case ideal for both jewelers, gemologists and traveling appraisers. The case holds up to ten 1.00ct size stones, and has a built-in grading tray suitable for comparing 3-5 stones at a time.